Welcome to Talented Tuesday No. 16! People have had more snow this week!! Crazy! And as I’m sat here writing this, dark clouds are rolling in 😦 So I am already eagerly waiting for the link ups this week. Make sure to link up and check out the other links too. I’m sure that there will be lots of craft and cooking ideas for if you’re snowed in…or if you just fancy doing something different! 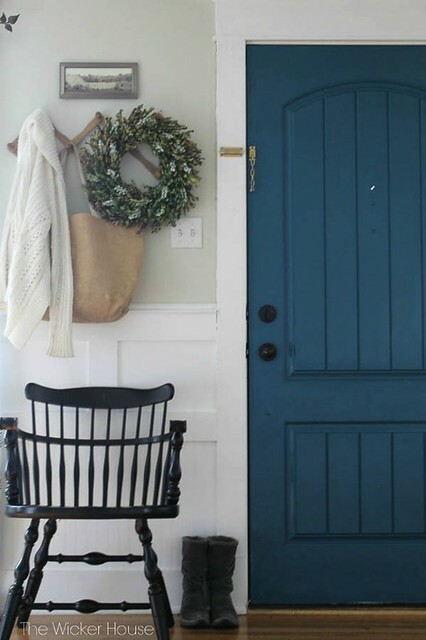 Emily from The Wicker House shared her interior door makeover with us. I love this color and it looks like everyone else did too! Make sure to check her post out! 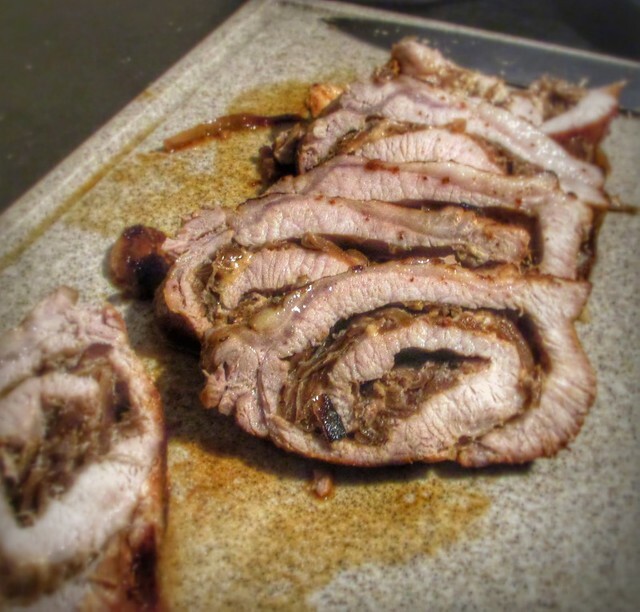 This french onion stuffed pork loin from Cooking With Carlee literally made my mouth water when I read the post! This is definitely going on my meal ideas Pinterest board! I am a huge fan of buttons and love it when they are incorporated into craft projects. 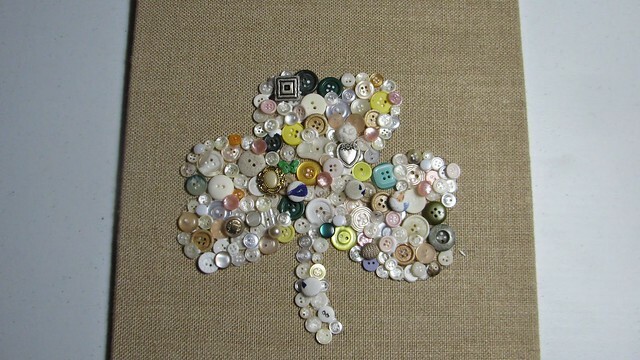 This is a super cute tutorial for a St. Patrick’s Day themed canvas from Dragonflies and Thistles. 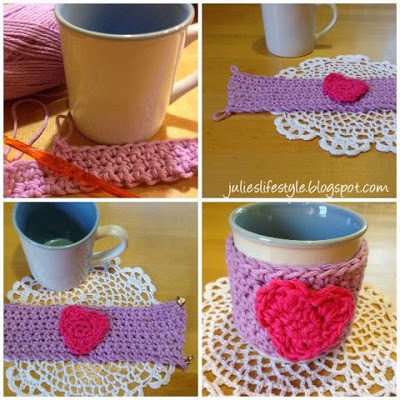 We don’t often get crochet projects linked up so I just had to feature this one from Julie’s Lifestyle. Everyone needs a cup cozy! Thank you so much for featuring the pork loin and for hosting! I hope it warms up soon!